Gettin' Dirty with Feet: TCX Track EVO WP & TCX Terrain 2 Boots! TCX has taken things to the next level with 2 new boots coming out in a few months. You won’t be disappointed while bangin' through the gears with a pair of these boots! 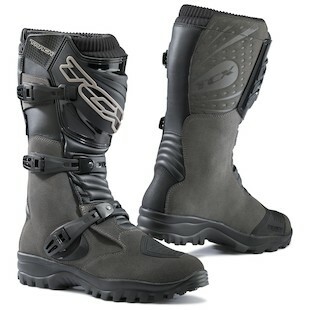 For the adventure/touring crowd, we have the TCX Track EVO WP boots. The Suede Leather and Microfiber upper construction along with a waterproof lining and 3 adjustable Polyurethane buckles make this the perfect lightweight and flexible adventure touring boot. You can take a long ride to your favorite trail, shred it up and head back home without worrying about your feet getting wet or uncomfortable during a long day in the saddle. Whether you are on your dirt bike, quad or side by side, the new TCX Terrain 2 Boots should be a must have for your gear bag. With the Air Tech breathable lining and Vibra trial sole with high grip areas, you’ll be able to ride all day with no worries about swampy feet or slipping off of the foot pegs. 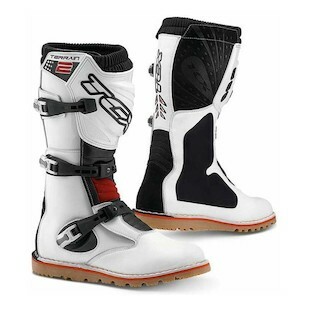 We hope to see you Moto'ing around the mountain side in a pair of these new baller TCX boots!